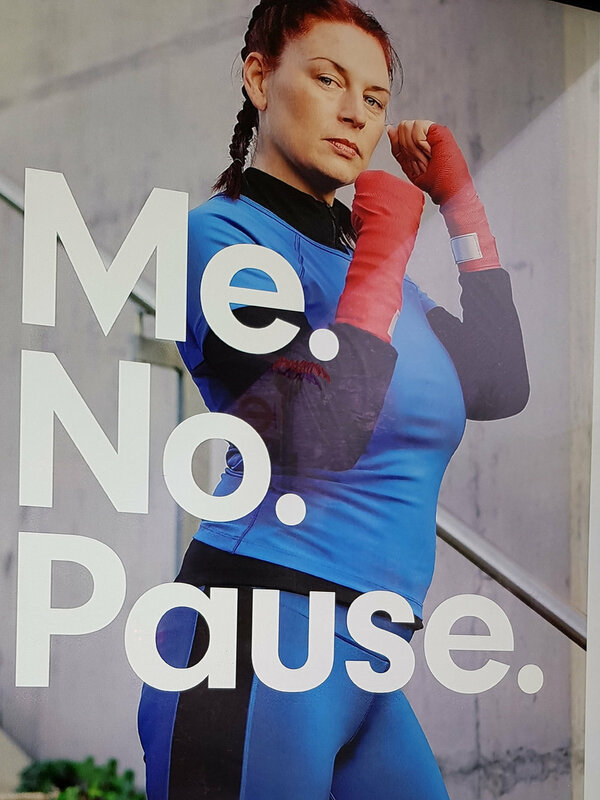 Me.No.Pause is the striking strapline for Holland & Barrett’s latest ad campaign for its natural remedies. On my local North London bus shelter Toshi, Bunny, Ebony and Cassandra are four diverse women pushing on through mid-life and stopping at nothing. (My own experience of the menopause was more Me.Hot.Flush but that’s for another time). Anyway, it’s the slogan itself that stopped me in my tracks as it could be another way to describe the Alexander Technique. So if you’re somewhere in mid-life and not finding it easy, here’s why another kind of Me.No.Pause could help you. The idea of ‘looking after yourself’ is key to the Alexander Technique. It sounds selfish, and it is, but in the best way possible. Most of us are primed to respond instantly to other people’s demands. But that can mean we never attend to ourselves. Maybe we develop lower back pain or chronic stress. Or we hit the menopause or a work or family crisis and can’t quite cope. Elderly parents need attention, but so do partners, bosses and teenage children with hormones and exams. We’re out of balance but not sure quite how it happened. Making time for a longer-term commitment to our own wellbeing is important. It’s not just the computer that sometimes needs a reset. Saying ‘no’ is another key Alexander idea. Without realizing it, most of us use too much muscle tension in everyday tasks like gripping a phone, pulling open a door or typing on a keyboard. As a result we hold tension in different parts of the body and lose awareness of just how little effort we really need. Saying ‘no’ at a delicate and micro level to these habitual actions is what Alexander Technique teachers teach. Little by little this enables us to change the amount of muscle effort we use, often reducing pain in the process and allowing in more space, breath and energy. I didn’t discover the Alexander Technique until after I’d passed through the menopause. I wish I’d known earlier about the Alexander practice of lying down in the semi-supine position as it would have helped me enormously. During a difficult stage of life it would have given me a way of pausing my day, allowing time for myself, restoring suppleness and alignment in my spine and giving me an energy boost. Now finding 15 or 20 minutes to lie down is essential, not optional because I always feel renewed afterwards. 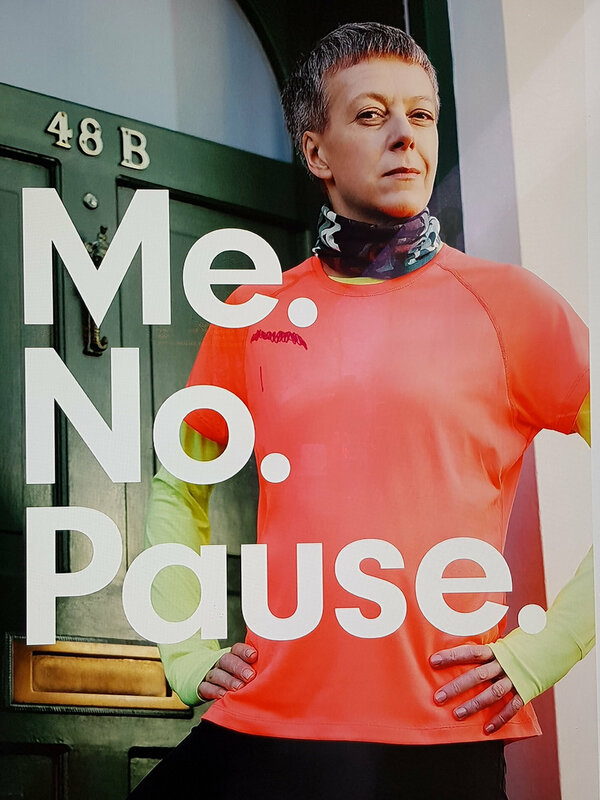 I applaud Holland & Barrett for bringing the menopause out onto the high street through their ad campaign (which won a Transport for London diversity competition). And I wish Toshi, Bunny, Ebony and Cassandra well as they continue through mid-life. But for me Me.No.Pause is not about carrying on regardless. Instead it’s about recognizing that sometimes life is difficult and we need to stop, allow time to look after ourselves and regain our equilibrium. Learning the Alexander Technique can provide a new sense of poise and balance. Then we can step back into life with greater resilience, better able to cope with whatever the next stage turns out to be.